All Double Standard en-suites have a comfortable bed, flat screen TV, tea and coffee making facilities. 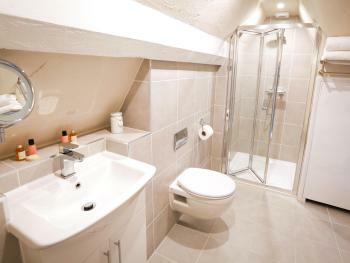 The en-suites all have showers. All Deluxe En-suites have a comfortable super-king/king bed, flat screen TV, Tea and coffee making facilities and Chocolate! All En-suites have shower facilities. 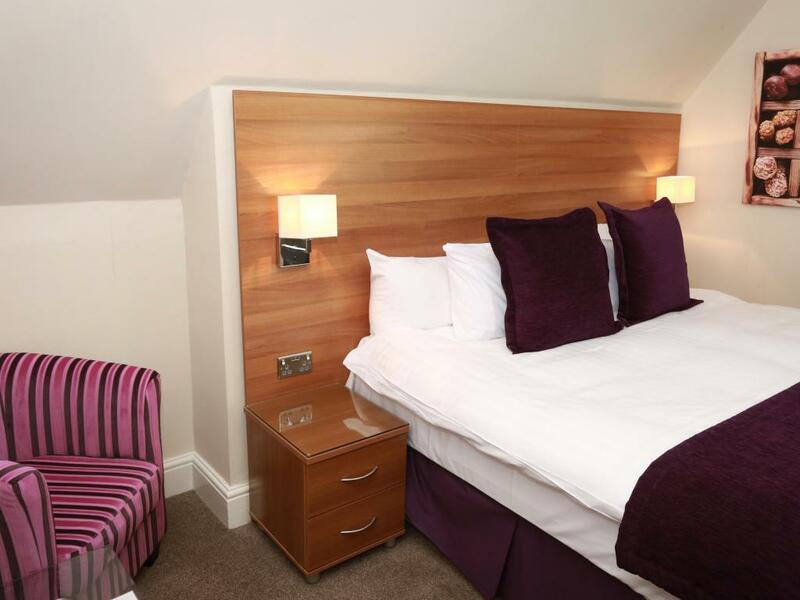 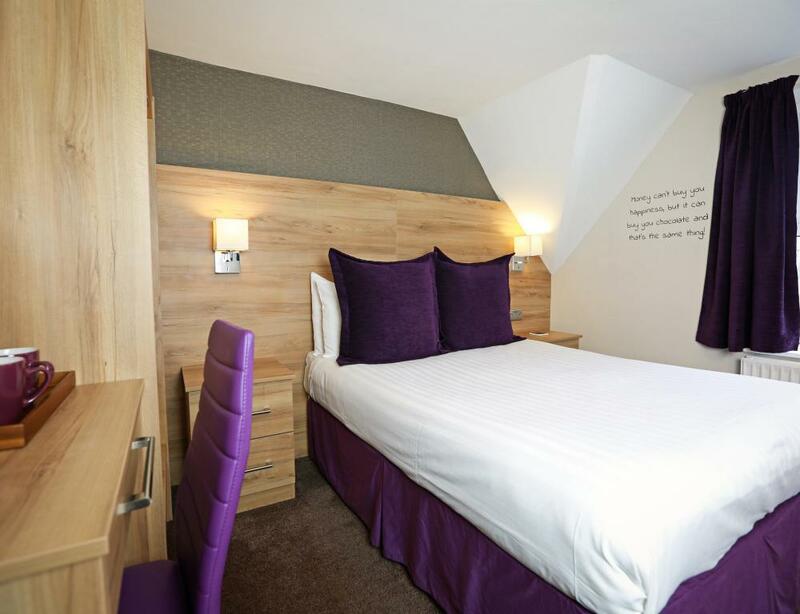 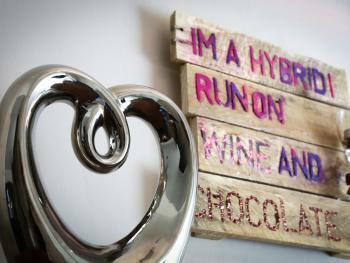 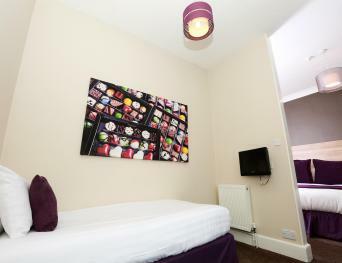 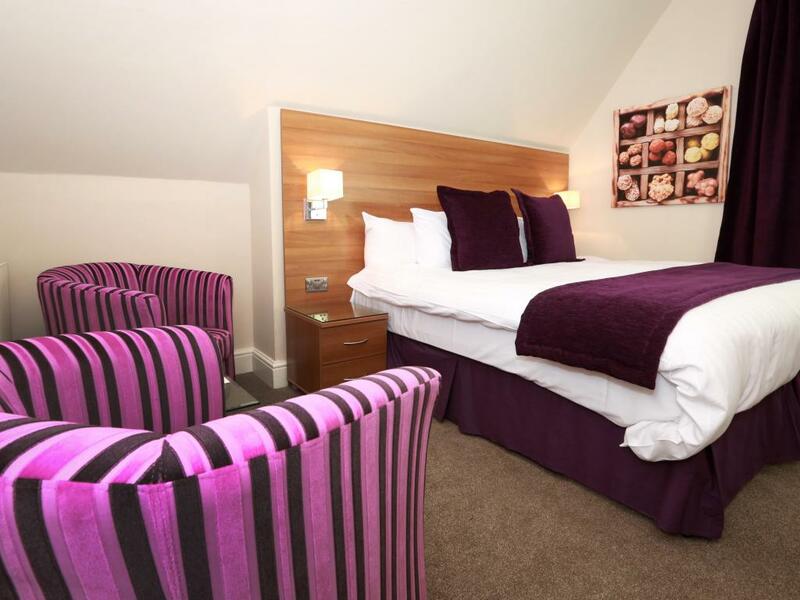 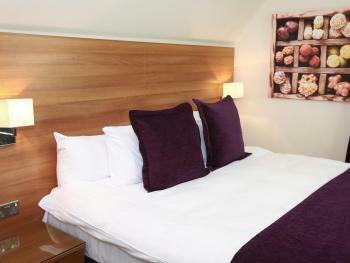 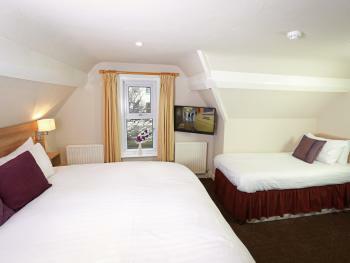 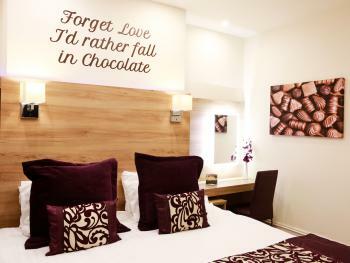 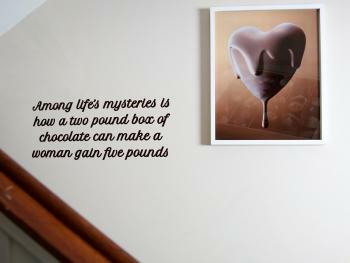 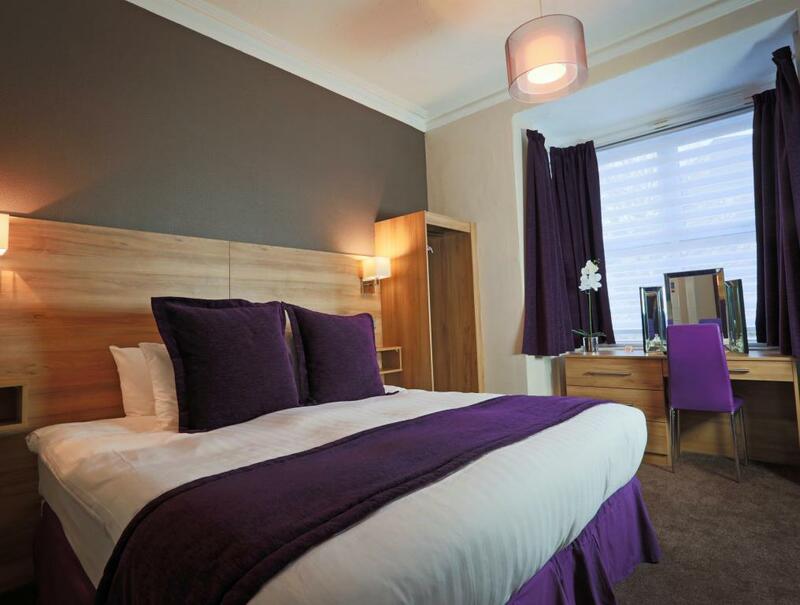 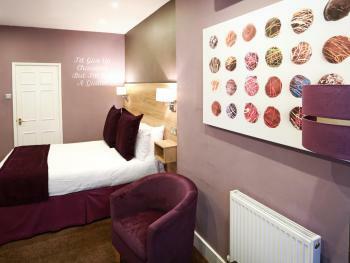 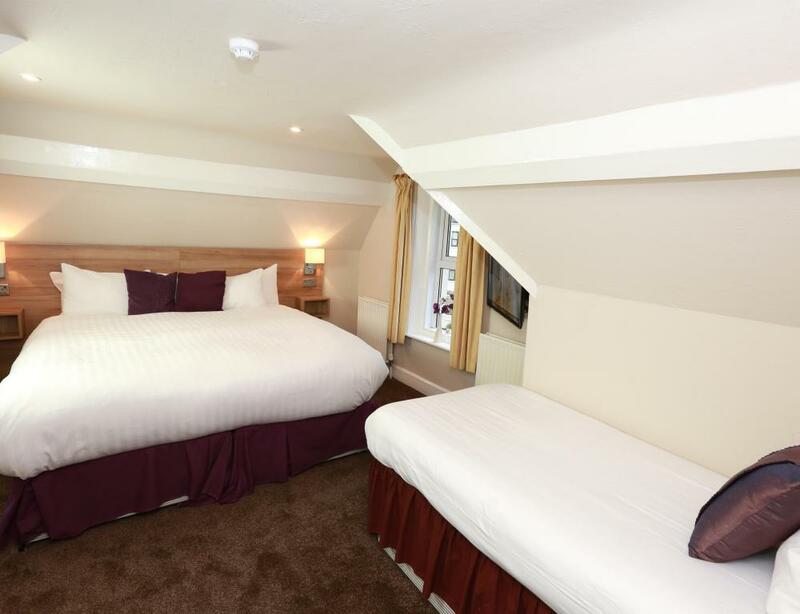 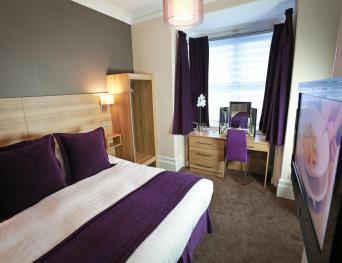 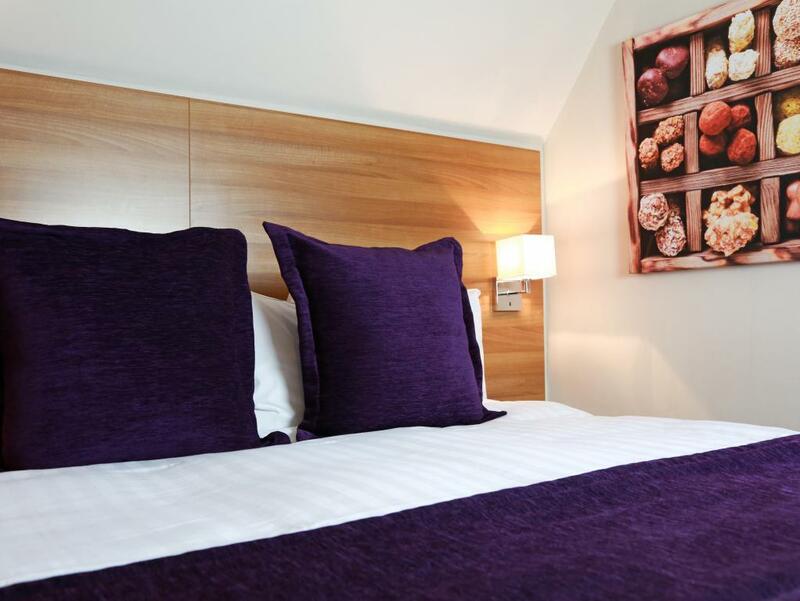 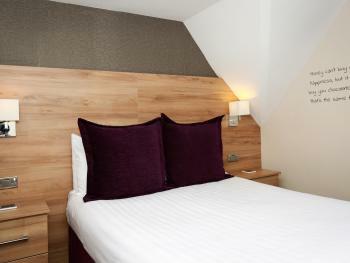 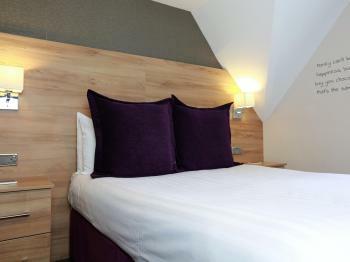 All double standard rooms have a comfortable double bed, flat screen TV, tea and coffee making facilities and Chocolate! 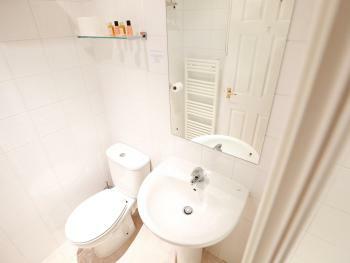 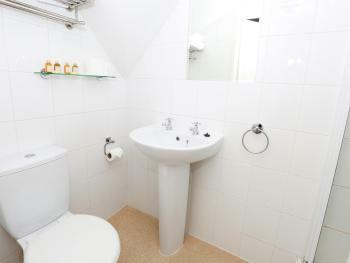 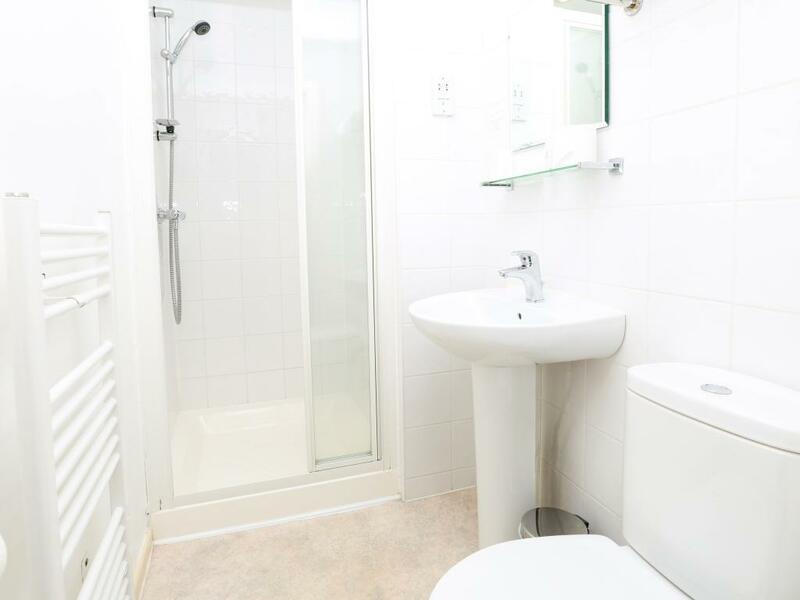 This room is not en-suite, but has a private bathroom which belongs only to this room. 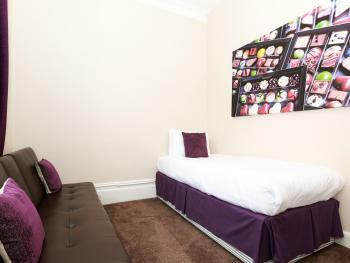 We also provide bath robes in this room. 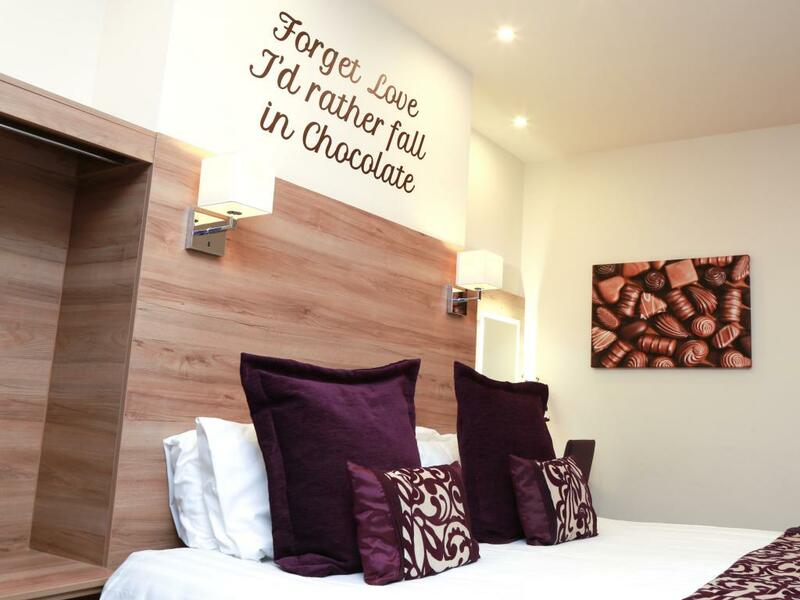 Our Standard twin ensuites have comfortable single beds, a flat screen tv, tea and coffee making facilities and Chocolates. 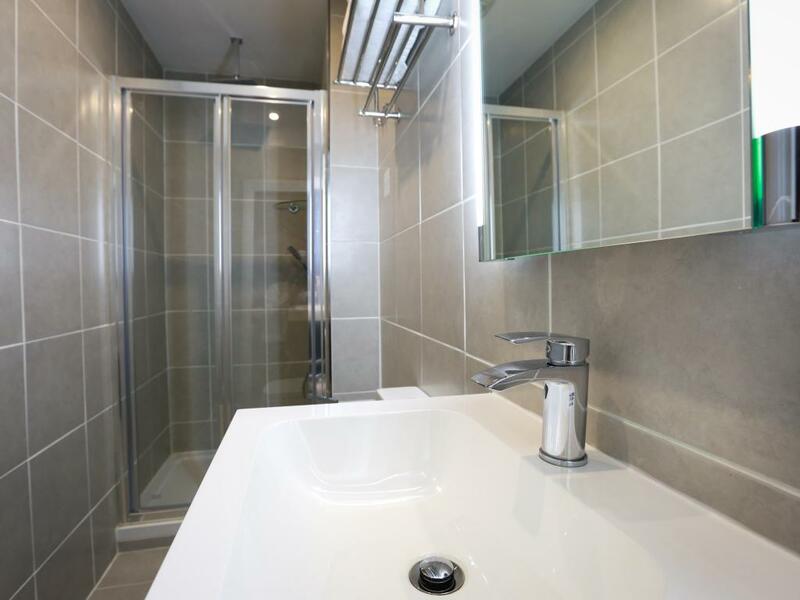 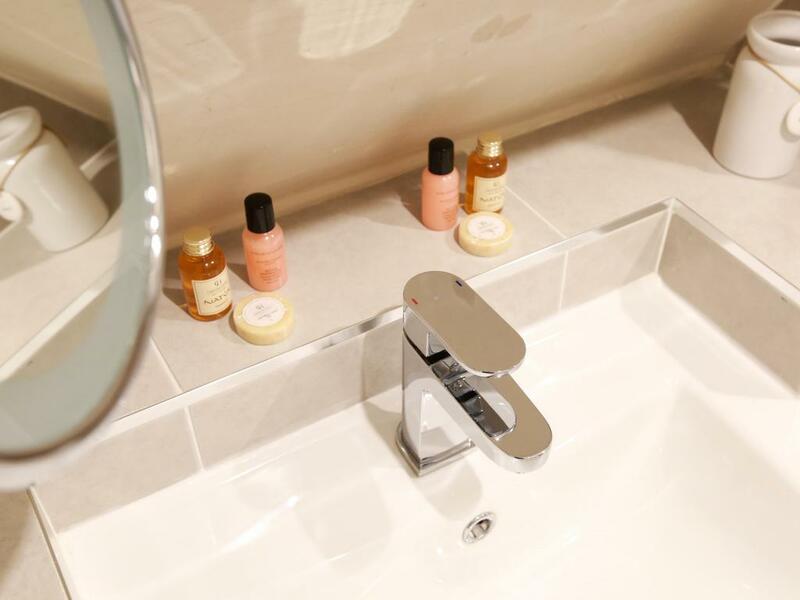 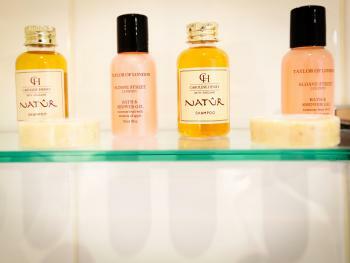 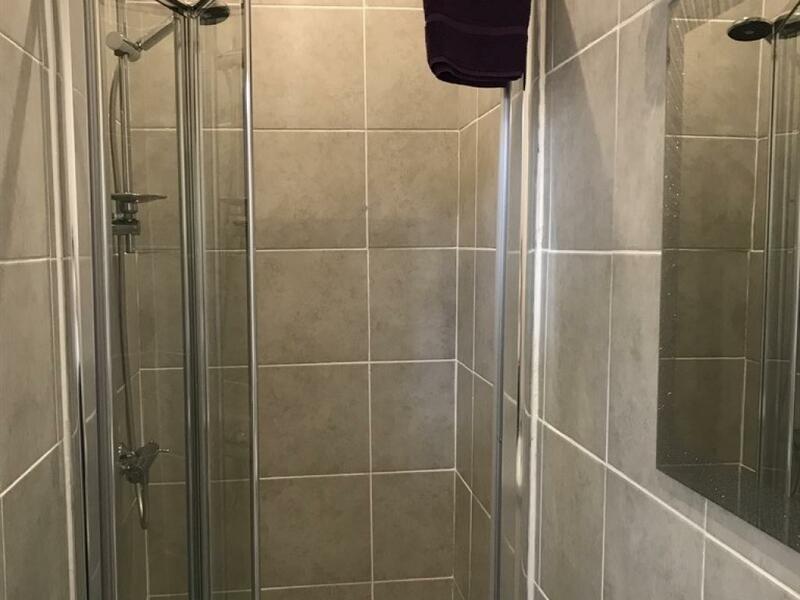 All twin room ensuites have shower facilities. 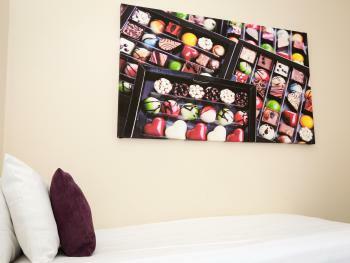 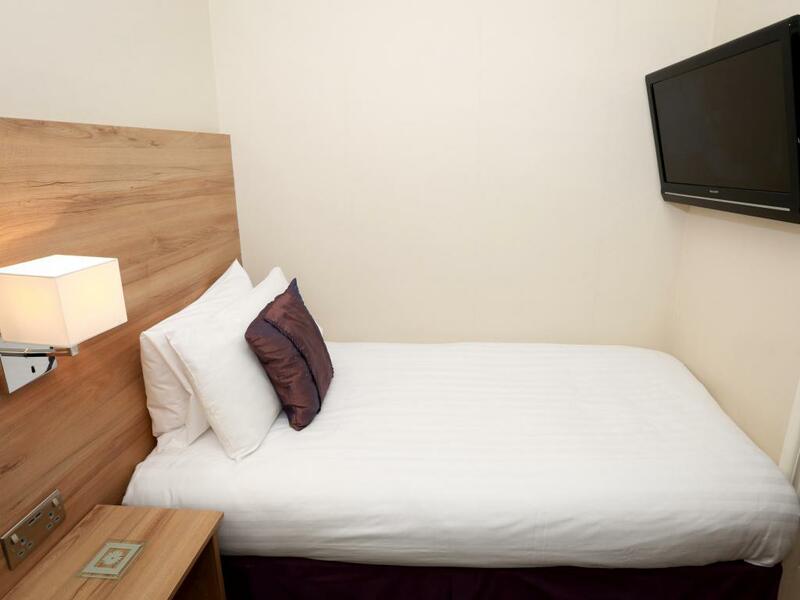 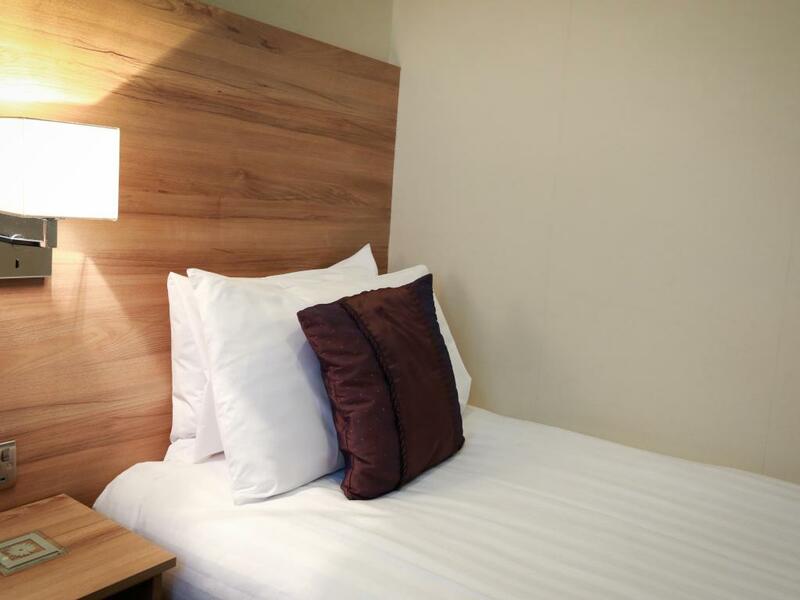 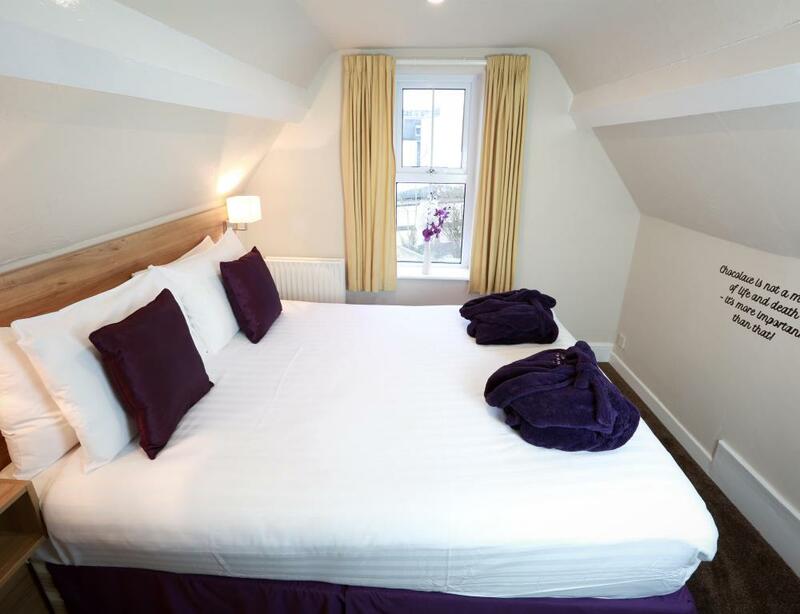 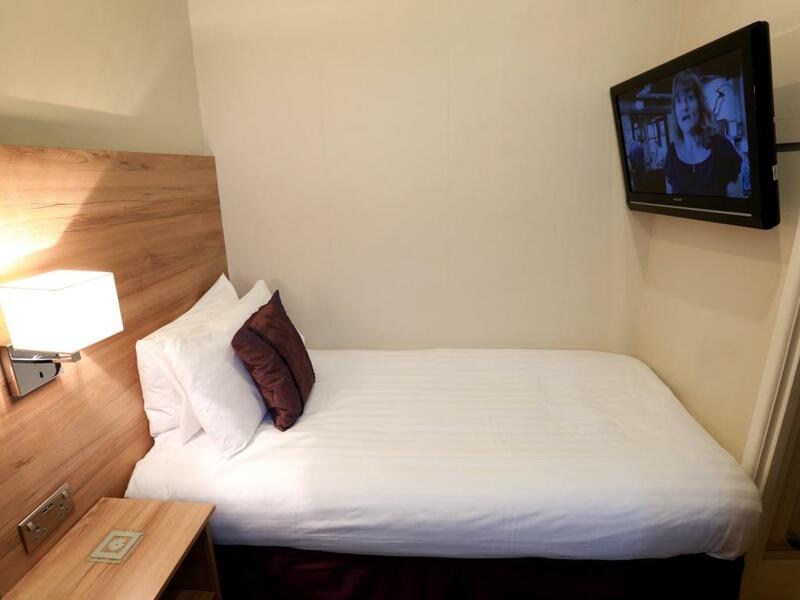 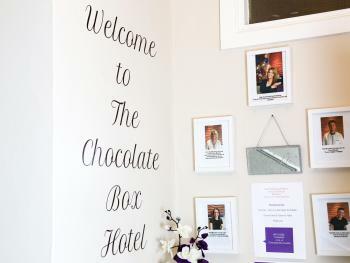 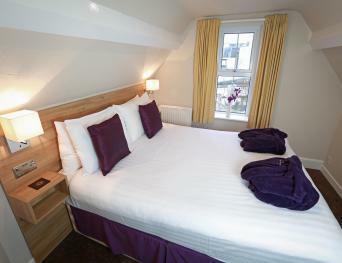 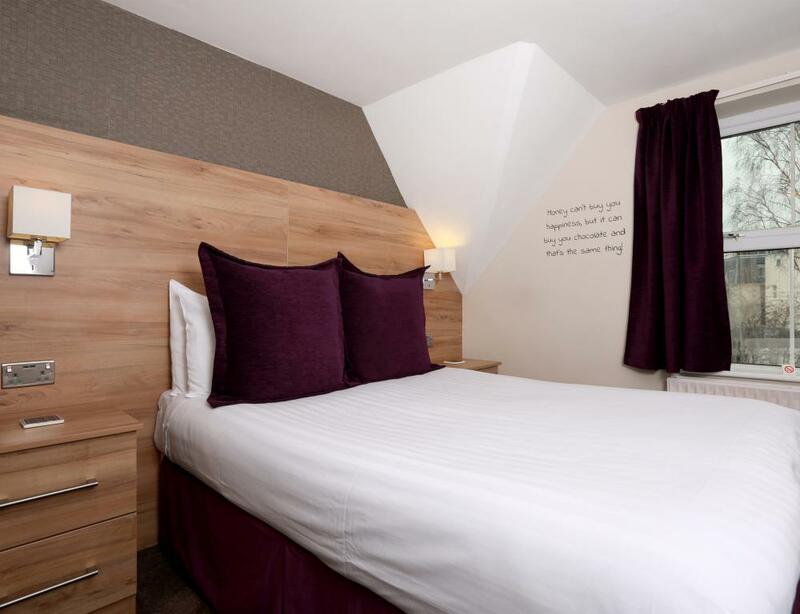 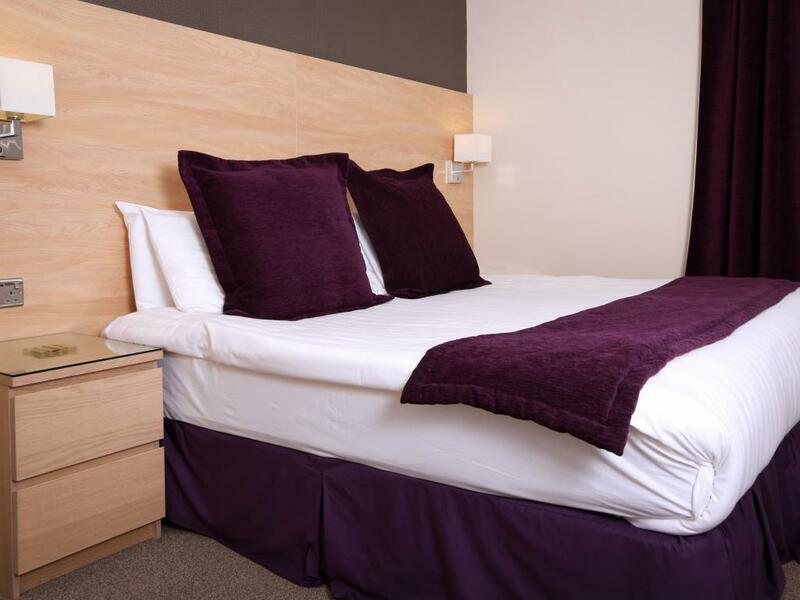 Our single room has a comfortable single bed with flat screen TV, tea and coffee making facilities and Chocolate. 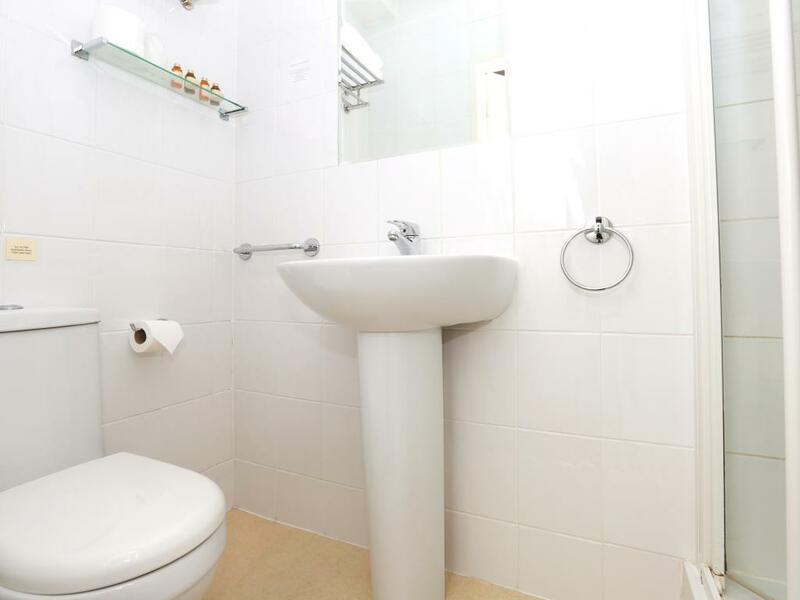 This room is en-suite and has shower facilities. 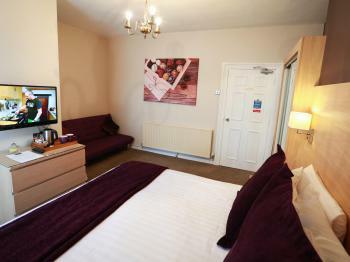 Our Family room has a comfortable super king bed, single bed and sofa bed which can be made up. 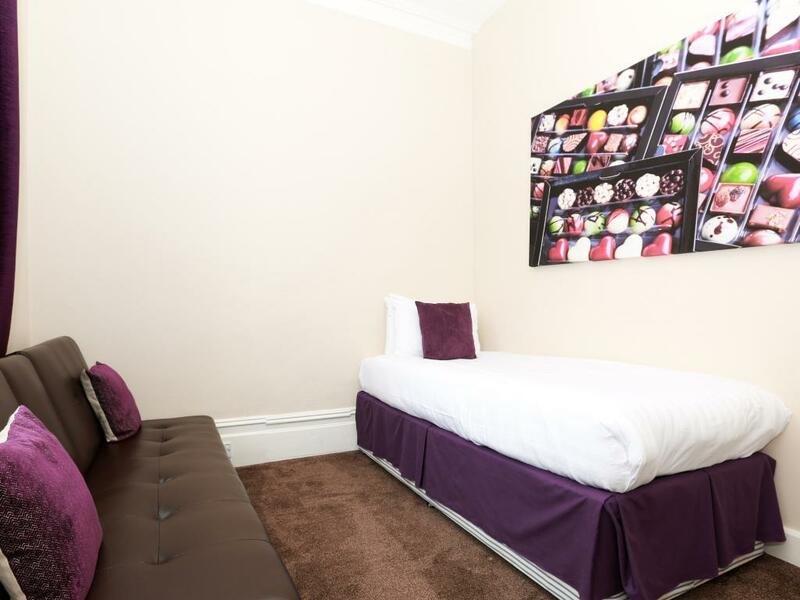 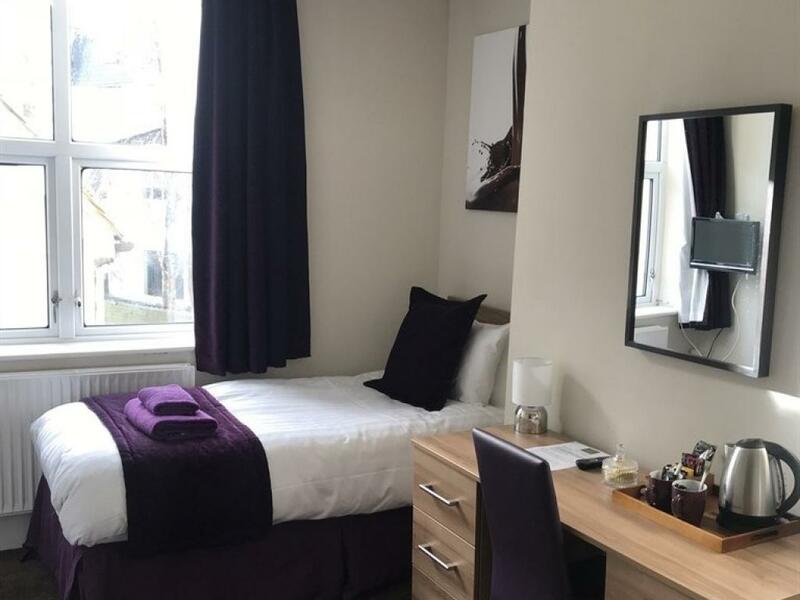 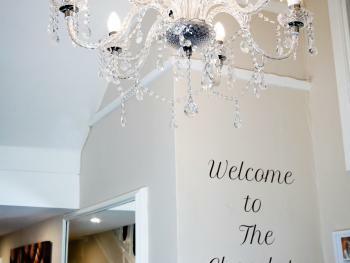 A flat screen TV, tea and coffee making facilities and chocolate are available in the room, along with an en-suite bathroom which has shower facilities. 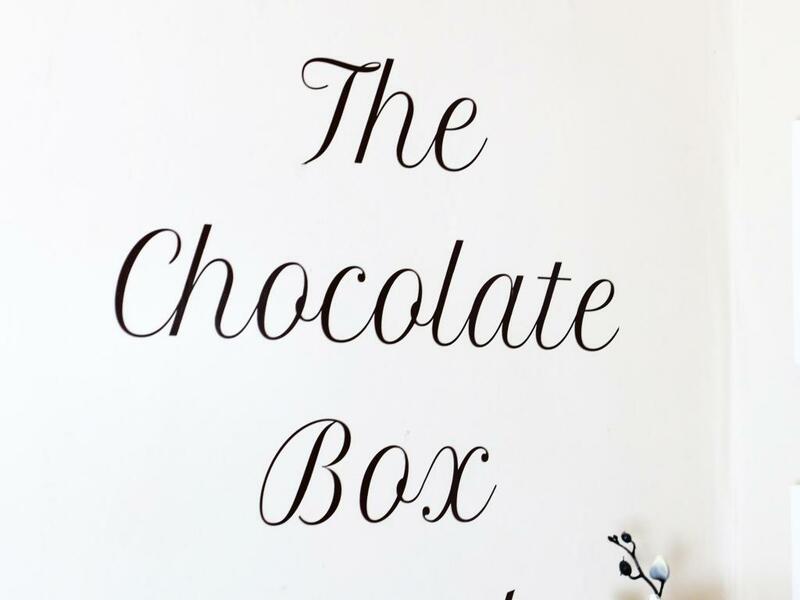 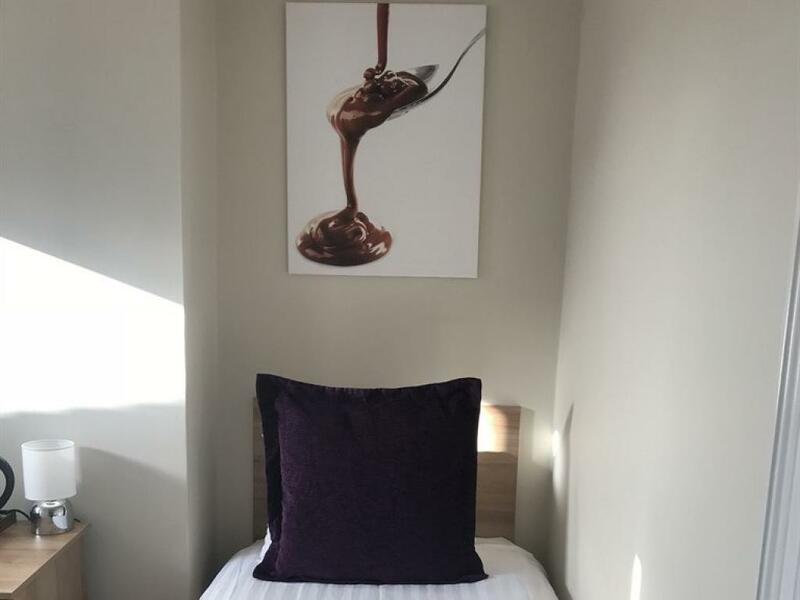 Located in the very centre of Bournemouth, the Chocolate Box is five minutes from the town centre, the beach and the BIC for concerts. 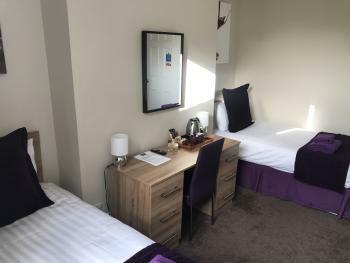 There is parking on site but it is limited. We can normally fit all cars but if not there is a public car park 3 minutes away. we cannot guarantee a parking space but we do our best. 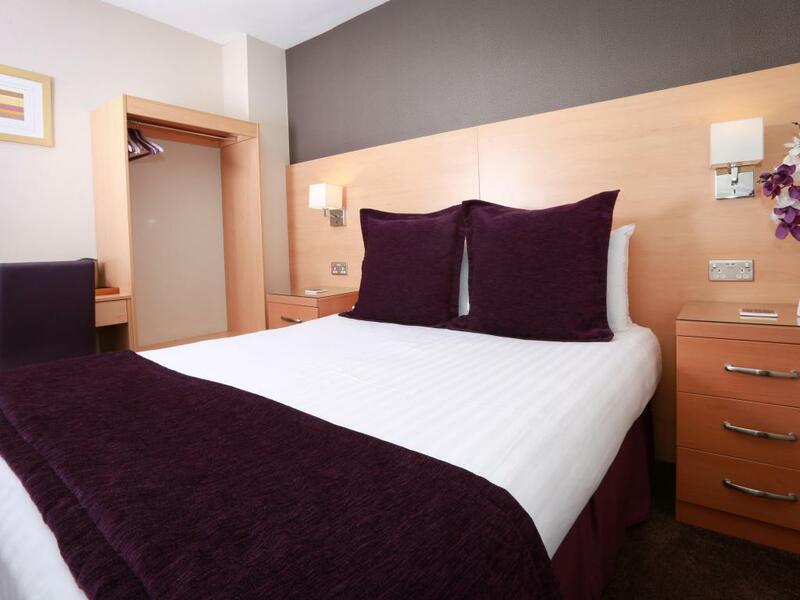 The hotel is perfect for a weekend break, business night away and a summer holiday, not to mention a perfect location for the many concerts and shows we have here at the Bournemouth International Centre. The hotel has been completely reborn over the last two years with the exception of one room (at the time of writing) decorated with purples and browns, it oozes luxury and chocolate. 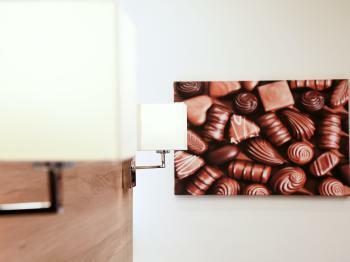 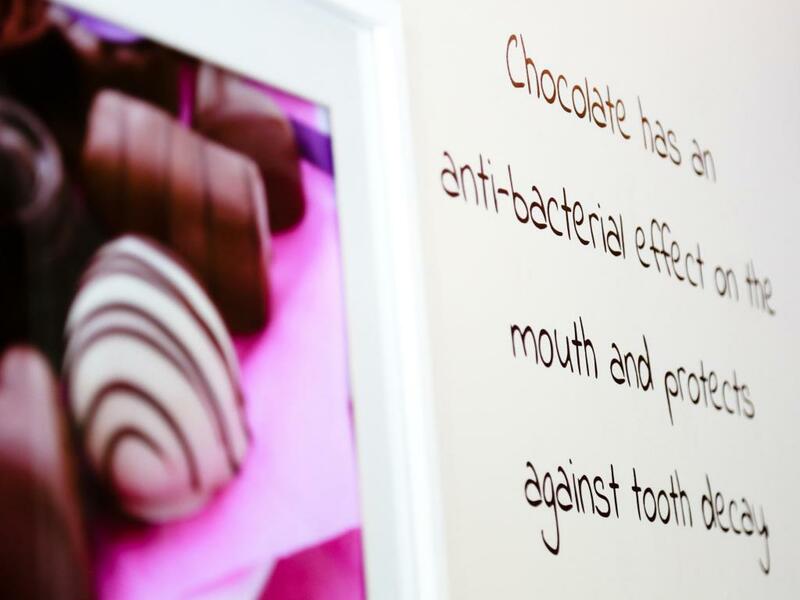 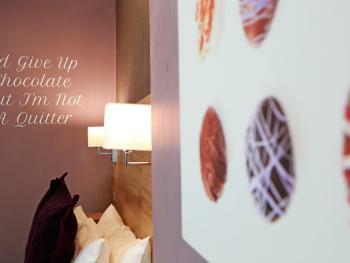 We have complimentary chocolate in every room and bowls of chocolate buttons on reception. What more could you want? 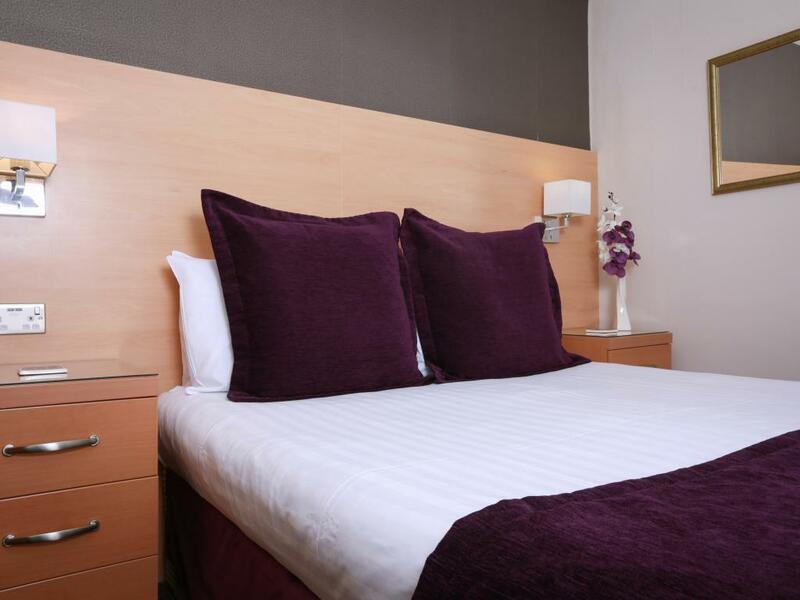 Our booking page has been designed to ensure you get prices that are not advertised any where else, so PLEASE BOOK DIRECT TO GET THE BEST DEAL OR CALL US. 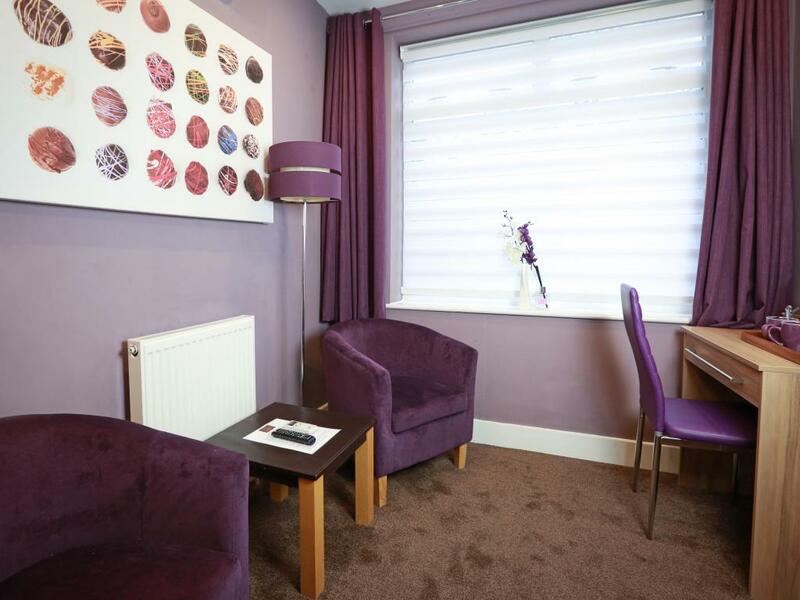 we have ground floor rooms which are accessed directly from the front door with no steps. 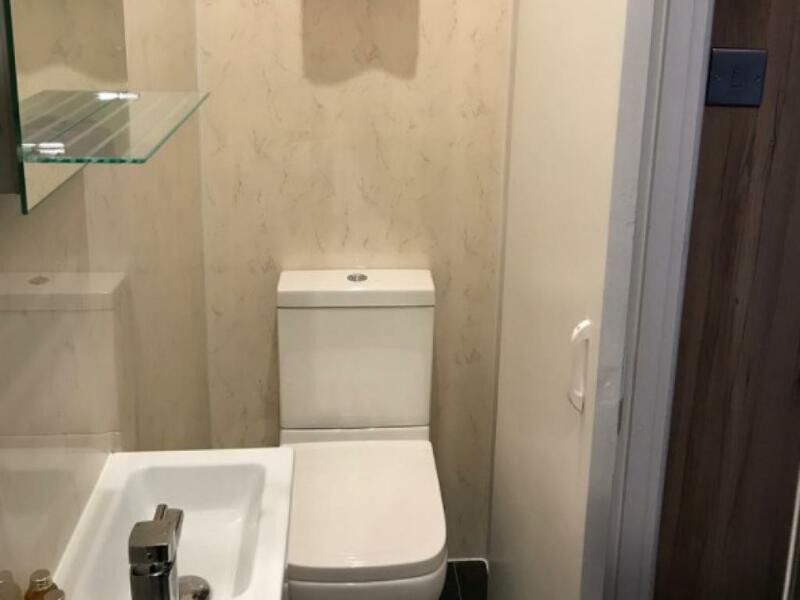 However the bathroom doors do not allow for a wheel chair.